FredS wrote: Light duty lumber racks that will be mounted on the wall above the garage door. I LOVE my Bosch drills!!!! Looks like you do as well! They're the best power tools I've ever owned. Period. My boss gave me the drill for Christmas 5 or 6 years ago. During a move last year I misplaced the charger so I went shopping for a new charger and found Lowes had the impact driver, battery, and charger cheaper than just the battery and charger anyplace else. This the first time I've had an impact driver and I don't know how I lived without it. I haven't stripped a screw head since I bought it. 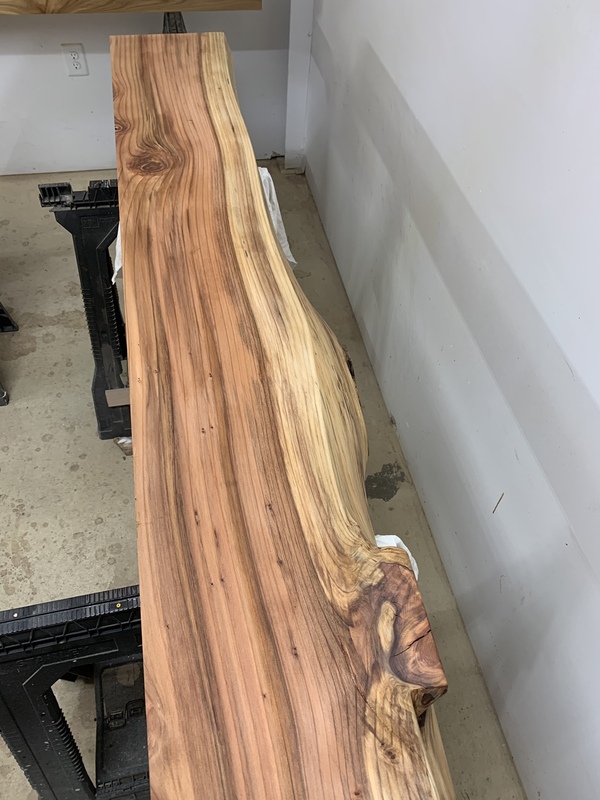 I’m building red oak stair treads and risers, along with tongue and groove flooring for two landings, and floor transitions to go into a customers house. I just finished my first large pen order. After a year of selling pens and stuff, I'm now close to breaking even. Including buying a new lathe last spring. Not bad for a hobby. First go at making hooch. ReverendThom wrote: I just finished my first large pen order. After a year of selling pens and stuff, I'm now close to breaking even. 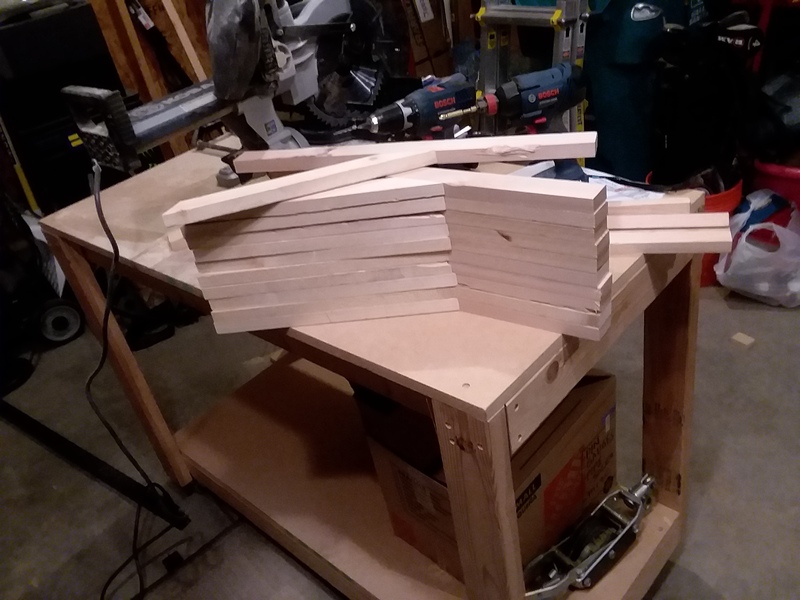 Including buying a new lathe last spring. Not bad for a hobby. FredS wrote: First go at making hooch. It looks like an apple cider base. How long does it have to sit for fermentation? 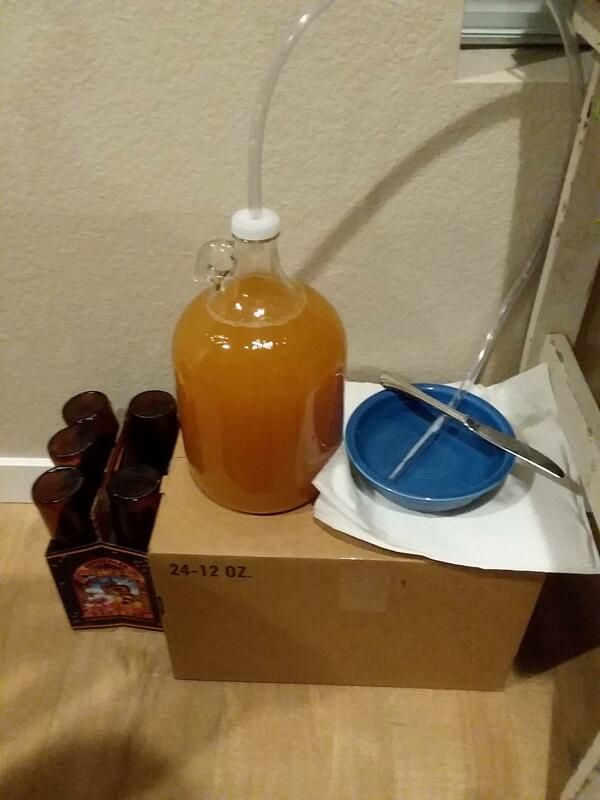 How long does it have to sit for fermentation? 2 weeks, give or take. In other news, I've finally got some of my garage art up. 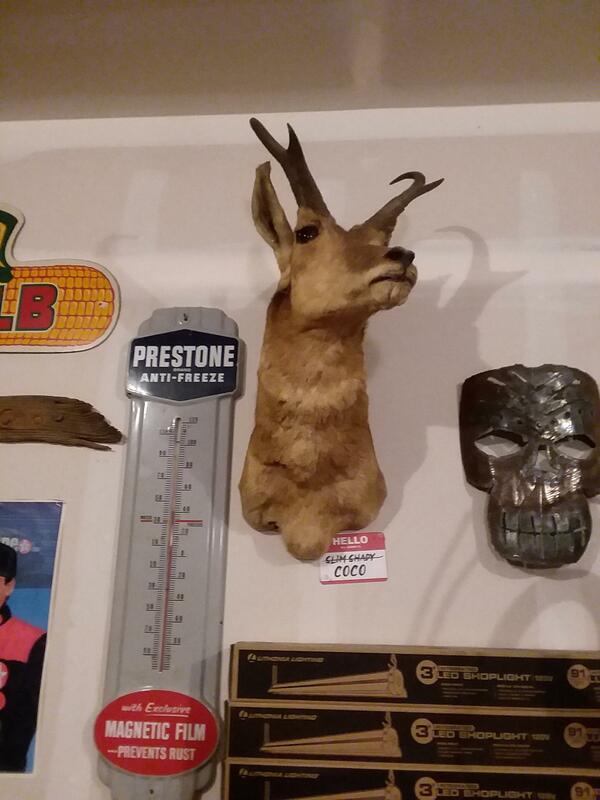 Meet Coco The Wonder Goat. Work. What do I look like, a guy with hobbies? Did you enjoy making such a large order? Would you take it on again? Do you have a source for laser engraving? 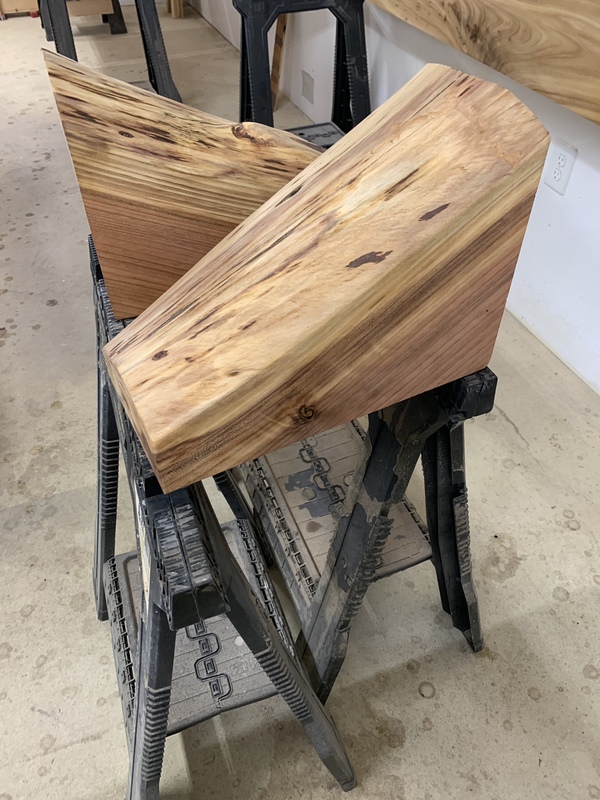 Redwood mantel and corbels for a customer. Put some rock sliders on the Jeep last night. Yeah it was pretty fun, especially as I had enough time to spread out the work - so cutting & drilling one day; gluing up and facing the next; etc.